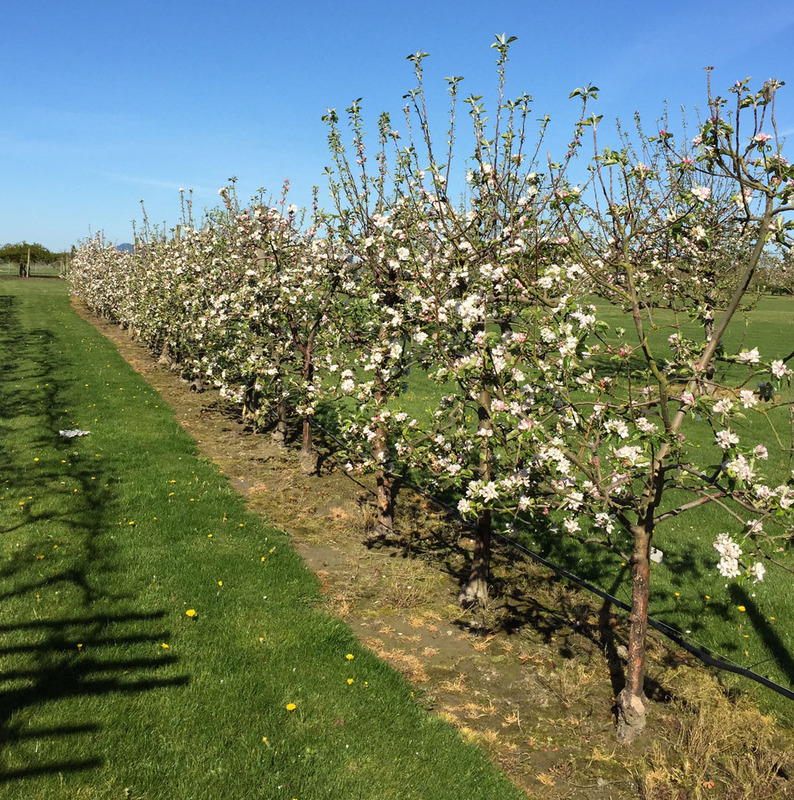 The apple variety “Gravenstein” was documented in Denmark prior to 1670, though the original seedling may have been discovered in Italy much earlier. Like most domestic apples, it is propagated by grafting. For centuries the scions were traded throughout Europe and beyond, reaching both coasts of North America around 1800. Gravenstein was especially popular during the homestead period in Northern California and the Pacific Northwest. 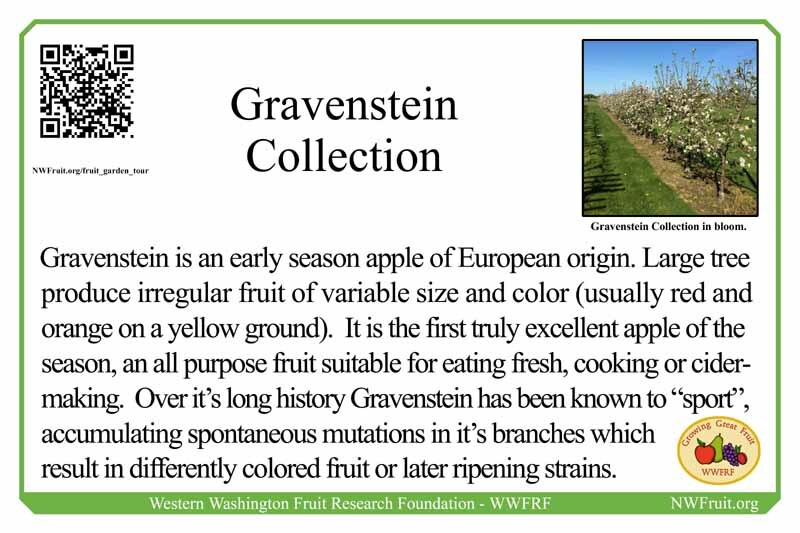 Gravenstein is a triploid variety, meaning it cannot pollinate itself or other apple trees. It has a tendency to grow very large, even on dwarfing rootstock. Harvesters have long noted that each tree, branch and fruit is highly variable in terms of size, shape, color and ripening period. This has led to the gathering of “sports” (i.e. “Red Gravenstein”), which are genetically identical to the original tree except for unique mutations arising spontaneously in a specific branch or bud. The Gravenstein apple is highly flavorful. It is aromatic and intensely sharp when eaten fresh. The skin is fragrant and oily, especially after a few days in storage. The flesh is especially juicy and its texture is paradoxically both crisp and soft, though it does go mushy about a week after picking. The famed nurseryman Edward Bunyard stated that “Of Gravenstein it is hard to speak in mere prose”. This collection of varieties can be propagated at home from scion wood available for purchased at our Winter Field Day in March.